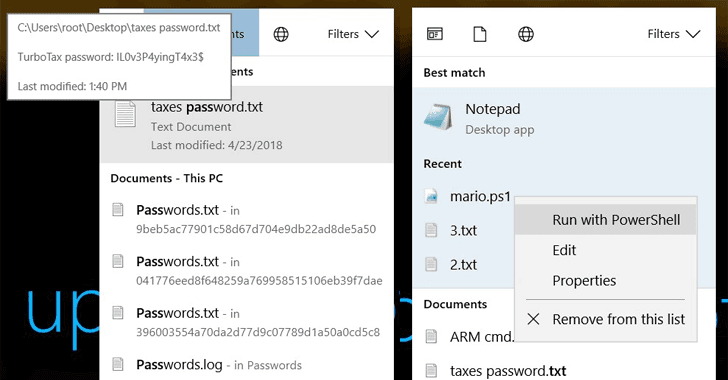 With its latest patch Tuesday release, Microsoft has pushed an important update to address an easily exploitable vulnerability in Cortana that could allow hackers to break into a locked Windows 10 system and execute malicious commands with the user's privileges. The elevation of privilege vulnerability, tracked as CVE-2018-8140 and reported by McAfee security researchers, resides due to Cortana's failure to adequately check command inputs, which eventually leads to code execution with elevated permissions. "An Elevation of Privilege vulnerability exists when Cortana retrieves data from user input services without consideration for status," Microsoft explains. "An attacker who successfully exploited the vulnerability could execute commands with elevated permissions." Microsoft has classified the flaw as "important" because exploitation of this vulnerability requires an attacker to have physical or console access to the targeted system and the targeted system also needs to have Cortana enabled. Cedric Cochin of McAfee's Advanced Threat Research (ATR) team has published technical details of the flaw, and also provided a step-by-step proof-of-concept video tutorial, showing how he hijacked a locked Windows 10 computer by carrying out a full password reset using Cortana. "Cochin discovered that by simply typing while Cortana starts to listen to a request or question on a locked device, he could bring up a search menu. Cochin didn’t even have to say anything to Cortana, but simply clicked on the "tap and say" button and started typing in words," a blog post on McAfee explained. 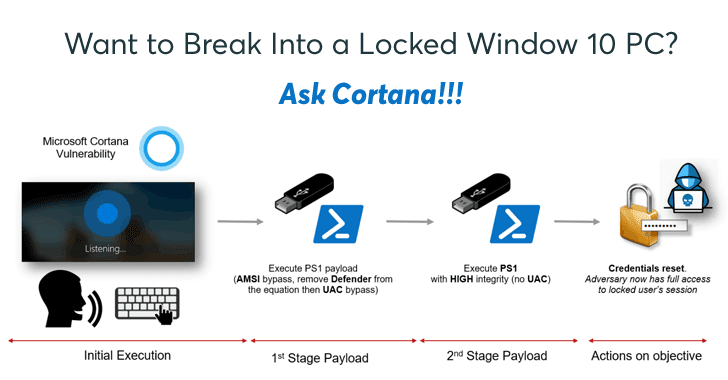 McAfee recommends users to turn off Cortana on the lock screen in order to prevent such attacks. Although Microsoft has patched the vulnerability with its latest security updates released yesterday, many PCs will not be running the latest updates just yet.